Good Work, Square Work, Just Such Work As Is Wanted For The Completion Of The Temple! It was my extreme pleasure to be a part of today’s Grand Chapter Festival. held in Manchester on 3-9-19. As the Grand Secretary, I had to account for the candidates registering for the degrees. Just imagine my amazement when the numbers grew over what was the previously listed. 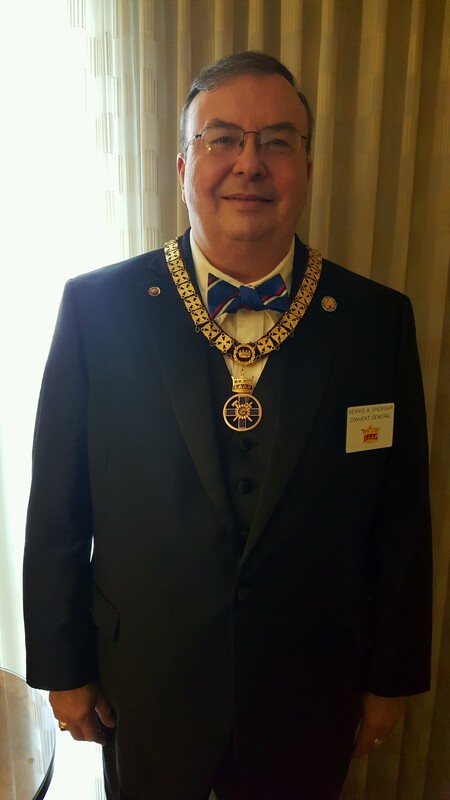 It was our honor today to exalt 43 new Companions to the Royal Arch degree. The Grand High Priest, ME Comp. Paul C. Smith, arranged 4-degree teams from around the State to work together for this assignment. The teams he selected did an outstanding job presenting each of the degrees. Ex. Comp. Jack Marston lead the Most Excellent Master Degree team and started the day off to a great start. Ex. Comp Kaleb Brown led the Past Master degree with fine fashion. Then ME Comp. Bradley Alderfer did an very exceptional job leading the Most Excellent Master Degree. After lunch, RE Comp. 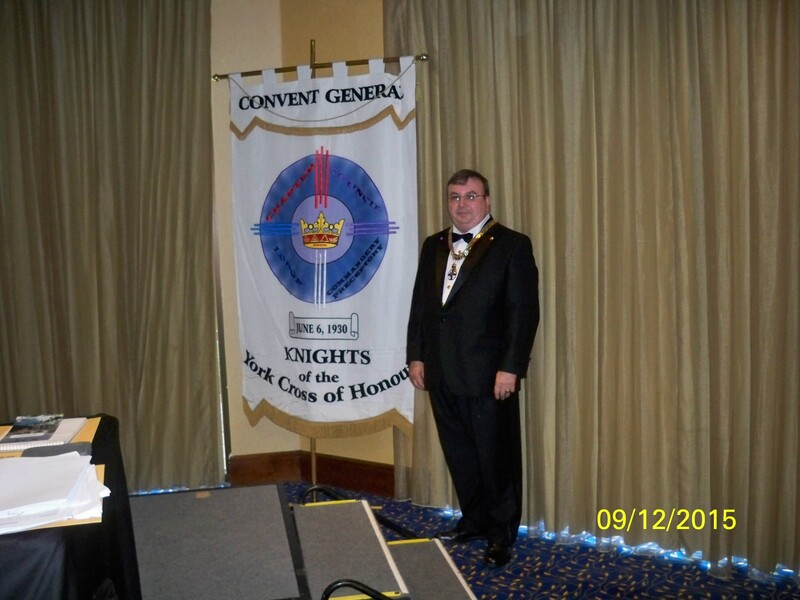 Thomas Tsirimokos did the High Priest role for the Royal Arch Degree with ME Comp. Richard Cole doing Principle Sojourner and ME Comp. Brad Alderfer as Captain of the Host. This team has apparently worked together before. It was an outstanding presentation that got a standing ovation. Closing greetings were given by selected dignitaries of which I was honored to be included. I thank the 30 plus NH Companions that came to observe and perform the degrees for these candidates. We also had several well-known Craftsmen in the class of candidates. Excellent job, Most Excellent Paul! Great way to help celebrate the Bi-Centennial Year! On Saturday March 24, 2018, the final Commandery Inspection of the year was held in Lancaster. Eight new Sir Knights joined the ranks of the Order. 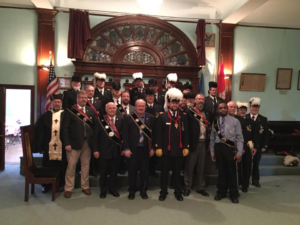 There were 41 Knights Templar present for the occasion. The combined talents of members from Concord joined with Lancaster to put on an impressive event. This was the final Inspection for our Right Eminent Grand Commander, Sir Knight Paul C. Smith. His two year term will conclude at the annual Conclave of the Grand Commandery, which will occur on May 12th in Concord.